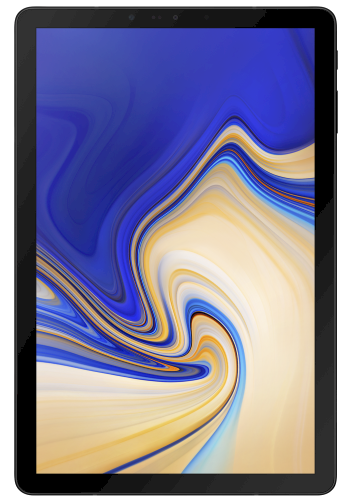 Samsung's Galaxy Tab S4 (10.5", LTE) SM-T835 specifications and features: this is a 10.5” (266.7mm) device with a WQXGA 1600 x 2560 screen resolution. The phone is powered by the Qualcomm Snapdragon 835 soc with a Quad-Core 2.35GHz + Quad-Core 1.9GHz configuration. Memory is 4GB, with the device offering 64GB internal storage and up to 400GB of external memory. The Galaxy Tab S4 (10.5", LTE) features Accelerometer, Compass, Gyroscope, RGB and Proximity. Notable features include Bixby. The device measures 249.3 x 164.3 x 7.1mm and weighs 483g.